The province of KP has countelss tourist spots. All of them could not be covered in one shot. Pakistan as a country and Khyber Pakhtunkhwa (KP) in particular, are blessed with immense tourism potential. Pakistan is filled with places that are relieving to the spirit. The country is not all what the news channels and daily papers depict it as. The country is not all what the news channels and daily papers depict it as. Whenever we think of Pakistan, all that comes to our mind is terrorism, extremism, sectarianism, corruption, loadshedding and inflation but despite all these issues, we immensely love our country. Pakistan has world most excellent spots to visit where vacationer can appreciate climbing and outdoors. There are various valleys in Pakistan that record for being a standout amongst the most excellent spots of the world. Swat is a valley and an administrative district in the KPK, Pakistan. 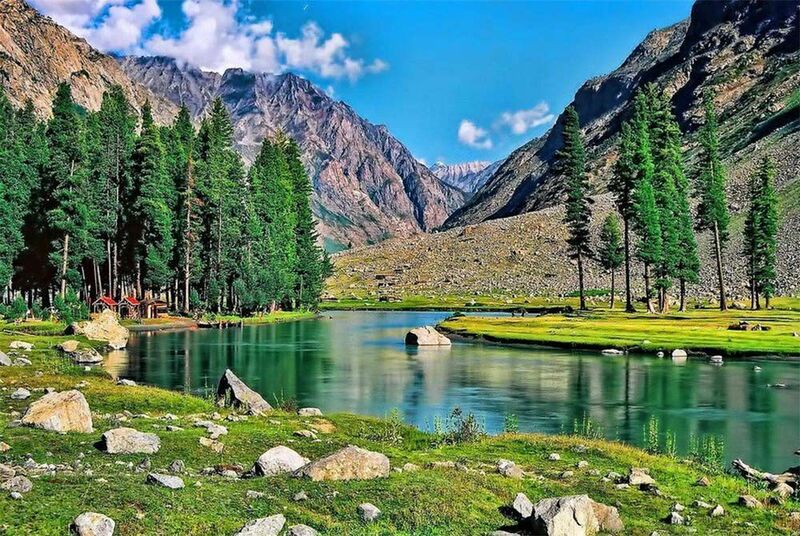 The lush-green valley of Swat, with its rushingtorrents, icy-cold lakes, fruit-laden flower-decked slopes is ideal for holidaymakers. A trip to Swat valley is incomplete without seeing Malam Jabba. About 44 kmfrom Mingora, Malam Jabba is a modern hill resort with surrounding mountainsenhancing its natural attraction and beautiful landscape. 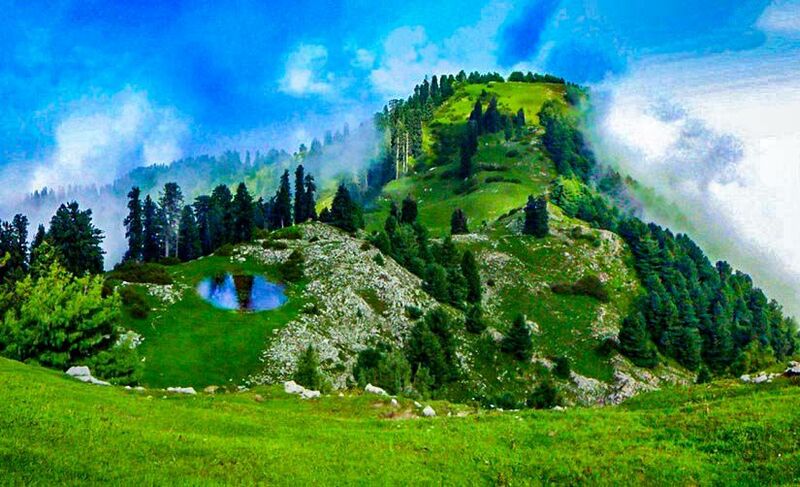 Malam Jabba offers an amazinglandscape of mountain peaks full of snow and green valleys. It also has sprawling forests refreshing minds in a cool and more serene atmosphere generously giftedby nature. 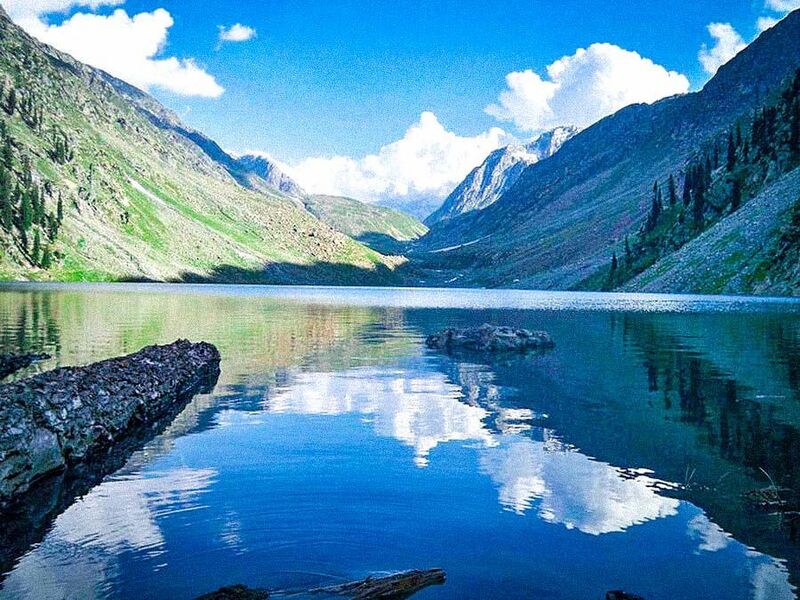 Kalaam is a tourist attraction nestled into the Swat Valley of Pakistan. With the nearby mountains and rivers surrounding it. Kalaam holds many things for visitors to do. Kalamis surrounded by lush green hills, thick forests and bestowed with mesmeric lakes, meadows and waterfalls. These are worth seen features of the landscape. 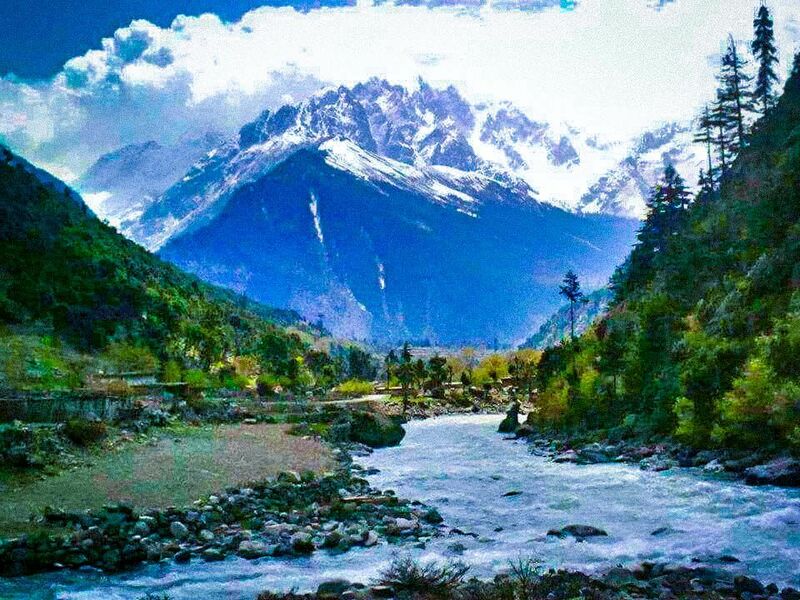 The rivers of Kalaam are formed by snow melting in the mountains. Some of the rivers connect into the surrounding lakes. There are a lot of wonderful waterfalls near Kalaam. Many of them are in the local forests that surround the area, and seeing them should be a priority forvisitors. The source for these waterfalls is mostly the glaciers that can befound in the mountains nearby. Kalaam has large number of alpine glacial lakes, among them Kooh, Mahod and lake and Kundol lake are very popular due to ease of accessibility. The lakes can be access through tedious trekking overlush green trails across the way. This place is a “must-see” if you are visiting the area of Kalaam. The beautiful valley is often described as one of the most scenic spots on earth. It is situated in theNorth, 35 km from Kalaam. The valley is famous not only among mature lovers butalso the exotic trout fish hunters. The small lakes, towering trees and sprawling pastures will welcome you. A number of temporary restaurants andhotels have been constructed by the locals. The locals also provide boatingfacilities in the lakes. Mahodand valley is long and wide and touches the border of Chitral at the extreme North. The place provides several beautiful camping sites with abundance of cool water and firewood. This spot is a true artistic gift of nature for those who cherish such things. 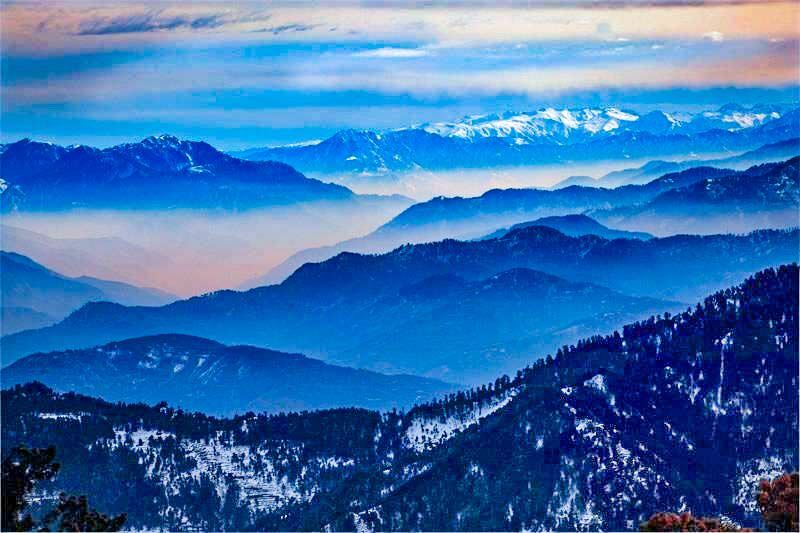 Galiyat, the word is the plural of the Urdu word Gali, which means an alley between two mountains on both sides ofwhich there are valleys and it is not the highest point in the range. Some of the villages in the area have the word Gali as part of their names. These are popular summer-holiday destinationsin Pakistan. One of the most popular hill stationsof Pakistan, Murree, is the largest town of the Galiyat area. It isstrategically located between the Northern Areas, Azad Kashmir, Punjab and therest of the Khyber Pukhtunkhwa. Clad in pine, walnut, oak and mapletrees, Nathia gali is the prettiest hill resort in the Galiyat region. The place can be approached both from Murree and Abbottabad. The place is 34 kilometers from Abbottabad as well as from Murree. This tourist spot is 2501 meters above sea level. Surrounded by lush green lofty mountains. This mesmerizing tourist resort is situated on the slopes of Mukshpuri Hills. The hills are wooded and present a scenic view. Behind Dungagali stands Mukshpuri, one of the highest peaks in the area. Thandiani translates as ‘cold’ in the locallanguage. So this is how being a cool place it catched the name of Thandiani. The placeis 2700 meters above sea level on a small plateau surrounded by pine forests. A mesmerizing view of Ayubia Chairlift. 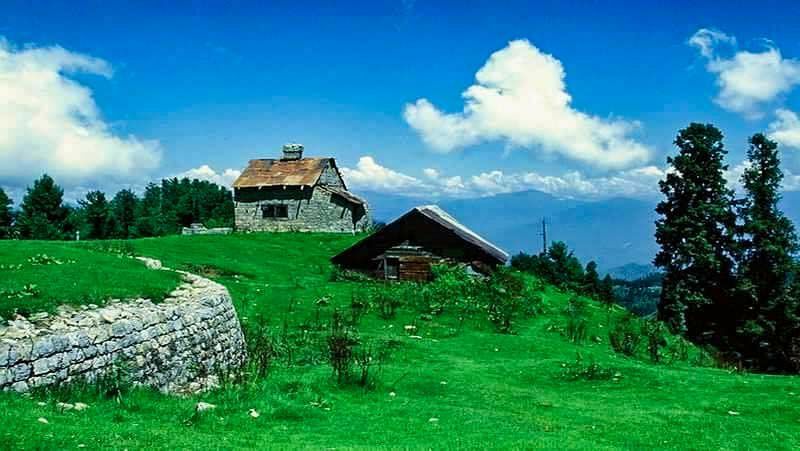 A cluster of four small hill stations of Khanaspur, Khaira Gali, Changla Gali and Ghora Dhaka is called Ayubia. The place was named after President Ayub Khan who belonged to Haripur district of Hazara. The spot is one of the tourist mountain resort towns of the Galiyaat . It has an elevation of 2559 meters from the sea levels. This point one of the popular tourist mountainresort towns of the Galiyaat. It has an altitude of 2347 meters from seallevels. Khaira Gali is located in Palak which is a Union Council of Abbottabad District in KPK province of Pakistan. The place is famous for the hexagon manoron the highest elevation of the town that belongs to the owner of the famousPakistani oil brand Seasons Canola. 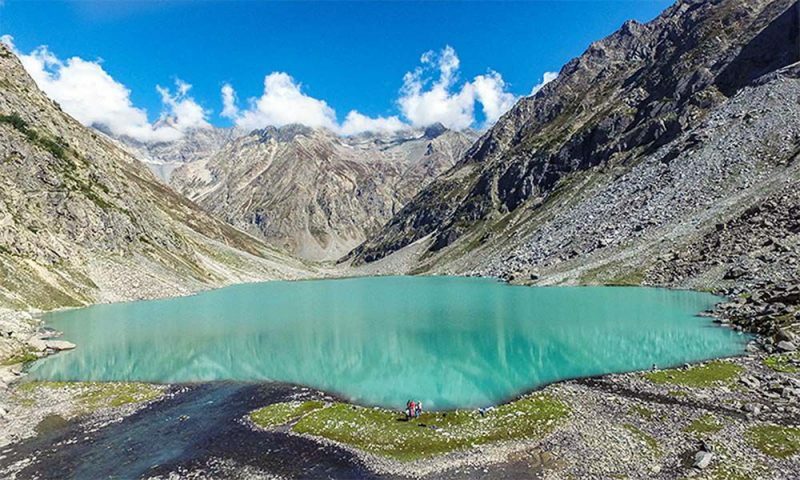 The Lake of Kundol is situated in the north of Utror valley. It is also pronounced as Kundal. One can easily accessit from Kalaam via Utror. The point where a link road ends in a green valleycalled Ladu in the foothills of the lake. You can also hike to Ladu from Utror. To reach the beautiful valley of Ladufrom Kalaam, it will take approximately 2 hours. There is also a small hut inLadu where you can take a tea and grab something to eat. The mountains around the lake have scarce trees scattered far which highlights the beauty of the lake. During full moon, the dim and cool light of the bright moon transforms the whole atmosphere like magic. The valley of Chitral is at anelevation of 1128 meters from sea. Chital is a mountainous area in the extreme north of Pakistan. None of the mountains in the region is less than 4000 feetand more than 40 peaks have an altitude of 20,000 feet. The valley is divided into small valleys by the mighty Hindukush range. A mystery lies in the landscapes of Chitral, with its steep harsh mountains, lush green valleys, beautiful meadows and big glaciers. These factors have made it one of the most difficult and inaccessible area of the world. The place has an extreme weather when its winter here, while the summer is very pleasant. The area of Chitral was known as an independent princely state. But right after the independence in 1947, The valley of Chitral was the first state to declare the accession to Pakistan. The valley of Kalash is surrounded by the Hindu Kush mountain range. 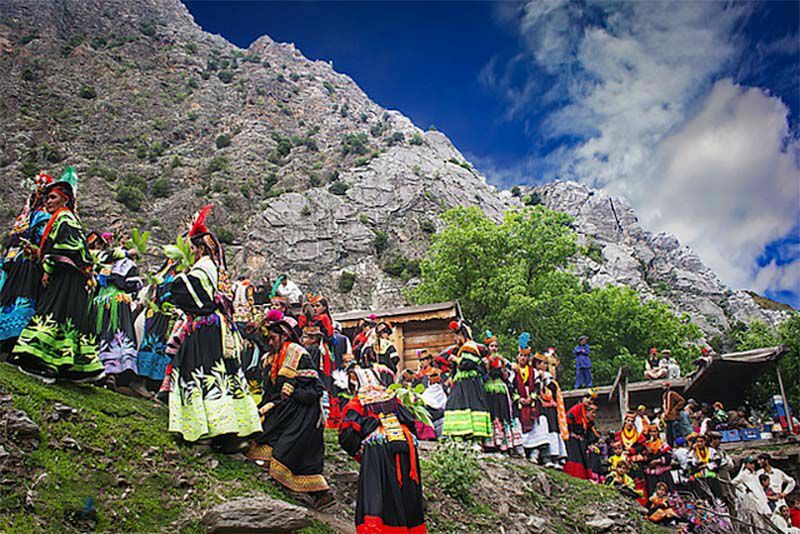 The people of Kalash have a unique culture, language and follow a form of ancient Hinduism. 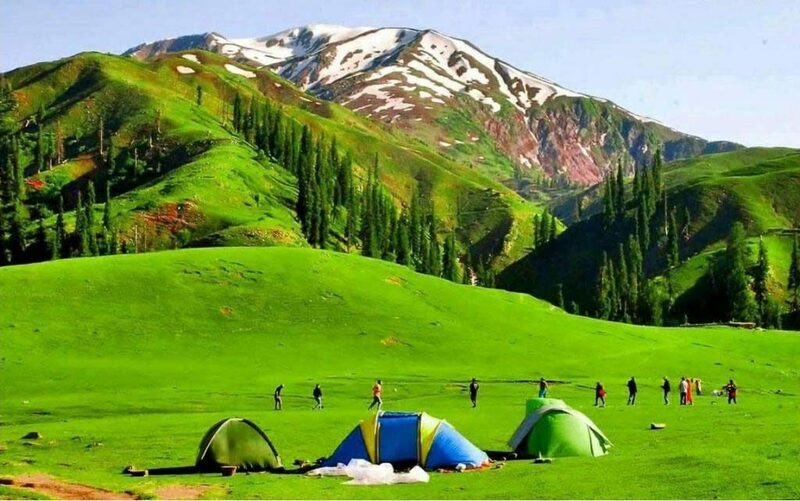 This Valley is a source of attraction for Pakistani as well as International tourists. The Museum of Chitral with antiques, old weapons and other stuff from the ancient times of monarchies provides greatknowledge about history and culture of Chitral and Kalaash people. 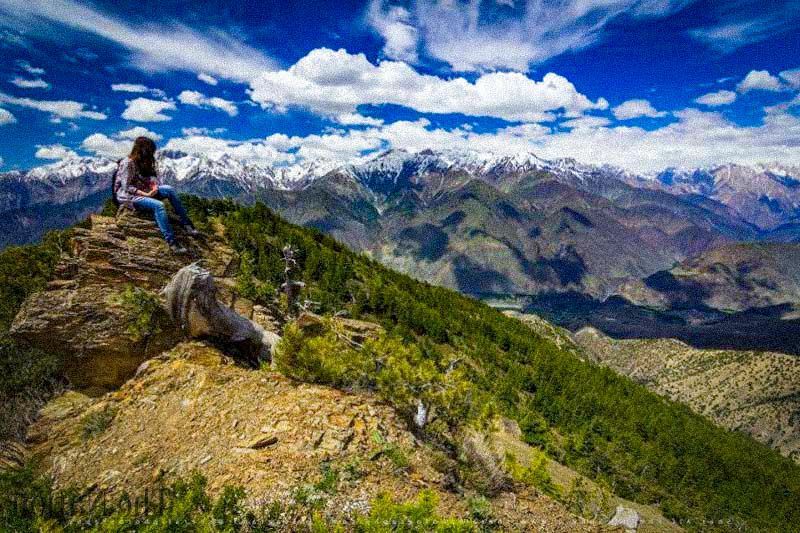 The Chitral Gol National Park is one ofthe most beautiful National Parks of Pakistan. The park is located in Chitral District beside the Chitral River. The park is situated at a distance of twohour drive from Chitral town. This is one of the places in Pakistan that is extremely beautiful and not manypeople know about it. The hidden beauty is located in Khyber Pakhtunkhwa and itis known as Kumrat Valley. The valley is located in the Upper Dir District ofKhyber Pakhtunkhwa. The stunning and beautiful valley is well endowed with spectacular sceneries and provides an amazing experience of a lifetime to the tourists. Kumrat Valley is the place you should go if you want to visit a place that is amazingly beautiful and does not have many tourists. 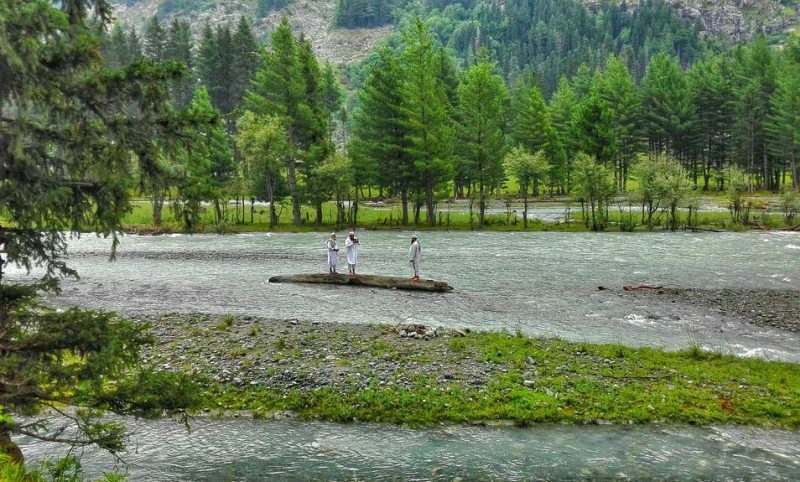 Kumrat Valley offers cool weather, amazing scenery, and some superb fresh waterbodies. The valley also has a number of waterfalls in this stunningly beautifulplace. The weather is mild cool in summers and below freezing in winters. The River of Panjora is flowing through the Kumrat Valley and adds to the beauty of the area. It increases the beauty of the area. The spot of Jahaz Banda Meadows a major attraction for the tourists. 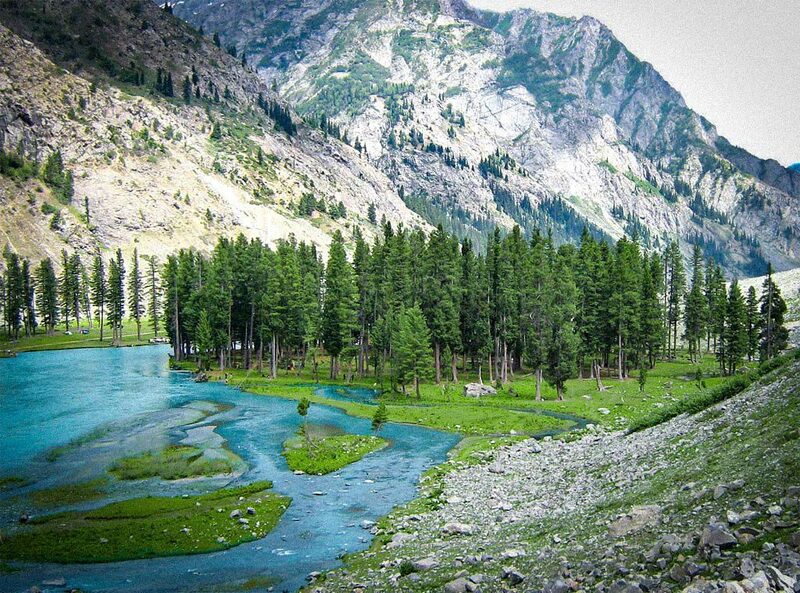 The diverse species of grasses andtrees are found in Kumrat Valley. Some reasonable number of animals includingsnow leopards, monkeys, brown bears, deer, jackals, and musk are also found inKumrat Valley. The nature is found at its best the valley of Kumrat. If we talk about the tourist places, its not possible to miss out Naran and Kaghan. The area is one of the most famous tourism points of Pakistan. Despite being so famous, many of the points in this area are still untapped. Most of the tourists think it is limited to Naraz Bazar and Lake Saif Ul Mulook but its much more than that. Bata Kundi, Shogran and Babusar top are the areas which are kind of untapped. Must visit these when you’re in the area of Naran and Kaghan. Pakistan has countless breathtaking locations which will make you fall in love with your country all over again. In case you happen to be a tourist or love traveling, you must pick your next destinations from the places mentioned above.